Like many in the healthcare industry, South Shore Hospital is facing the challenges created by changing expectations and standards. To engage their market more directly and differentiate their services in a highly-competitive market, they launched a strategic mobile app initiative. By focusing on what their patients wanted and needed to know, South Shore was able to overcome traditional communication barriers and significantly improve HCAHPS scores within six months. 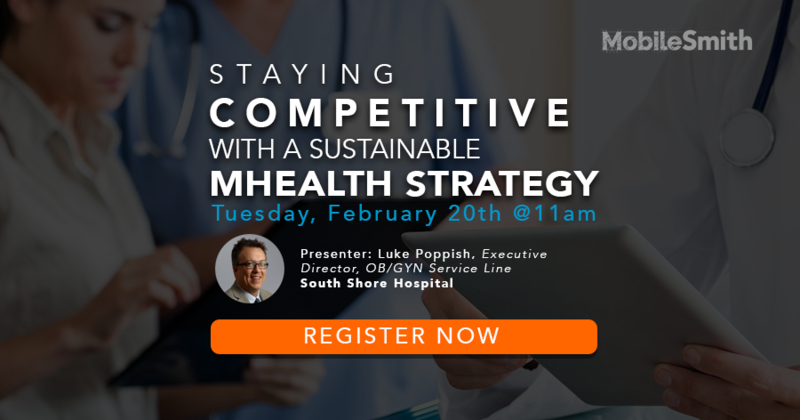 Join us as we talk with Luke Poppish, architect of the South Shore mobile initiative, about how they got started, the challenges they have faced along the way, and how they transformed patient experience without changing a single workflow. Luke currently works at South Shore Health System as the Executive Director of OB/GYN Services. Prior to assuming the role of Executive Service Line Director, Luke served as the Senior Lean Advisor with a focus of creating a culture of continuous improvement at South Shore Hospital. Luke has been immersed in health care and the advancement of the care experience for all involved for almost a decade.